QUEBEC CITY, QUEBEC--(Marketwired - Feb. 16, 2015) - Nemaska Lithium Inc. («Nemaska» or the «Corporation») (TSX VENTURE:NMX)(OTCQX:NMKEF) announced today that it has secured a $12.87 M technology commercialization grant for its Phase 1 Lithium hydroxide hydromet plant from the federally-funded Sustainable Development Technology Canada (SDTC). The Phase 1 plant is designed to produce 500 tonnes per year of high purity lithium hydroxide. Once built, Nemaska intends to use this facility to demonstrate its proprietary lithium hydroxide technology and produce commercial samples to send to end users primarily in the lithium battery market with a goal of securing off-take agreements in advance of starting operation of its lithium mine and commercial hydromet facility. "Today's batteries are becoming increasingly sophisticated, and battery manufacturers typically take up to 12 months to qualify a new supplier of lithium hydroxide," Commented Guy Bourassa President and CEO of Nemaska Lithium. "By building the Phase 1 Plant in advance of the commercial hydromet plant and lithium mine we expect to be qualified suppliers before we are in full production." He continued, "Nemaska Lithium is honoured to be a recipient of this grant, indeed the largest ever awarded under the SDTC program. This funding was obtained through a rigorous and competitive selection process and will enable us to build our Phase 1 Lithium Hydroxide plant. This is the greenest method of producing lithium compounds for lithium ion batteries and electric vehicles globally. The SDTC has a vision for clean technology based businesses in Canada and we are proud to be part of that vision." 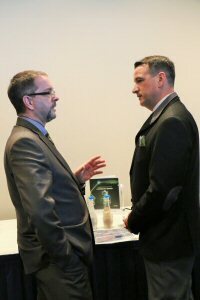 "Our Government is positioning Canada as a global leader in the clean technology sector by supporting innovative projects aimed at growing our economy while contributing to a cleaner environment," said the Honourable Greg Rickford, Canada's Minister of Natural Resources. "By developing our resources responsibly, exploring next-generation transportation and advancing clean energy technology, the projects announced today will create jobs and improve innovation opportunities in Quebec and across Canada." Nemaska intends to become a lithium hydroxide and lithium carbonate producer based in Quebec and has filed patent applications for its proprietary methods to produce these compounds. In tandem, the Corporation is developing one of the richest spodumene lithium hard rock deposit in the world, both in volume and grade. Spodumene concentrate produced at Nemaska's Whabouchi mine and from other global sources will be shipped to the Corporation's lithium compounds processing plant to be built in Salaberry-de-Valleyfield, Quebec. This plant will transform spodumene concentrate into high purity lithium hydroxide and lithium carbonate mainly for the growing lithium battery market. Guy Bourassa, President and CEO of Nemaska Lithium pictured with the Honourable Greg Rickford, Canada's Minister of Natural Resources at a press conference held in Quebec City this afternoon. The Minister announced a $12.87-million technology commercialization grant for Nemaska Lithium's phase 1 lithium hydroxide hydromet plant through the Sustainable Development Technology Canada (SDTC).